Waymo’s CTO is right: The outfit that started off as Google’s self-driving car project is running a limited robotaxi service in the Phoenix metro area. (The company still uses safety drivers, so the cars aren’t yet totally driverless. Dolgov also told the audience that the company has tech yet to crack.) And it’s not alone. GM Cruise plans to launch a service this year. Uber is testing in Pittsburgh. Lyft and Aptiv have a limited self-driving service in Las Vegas. Nuro’s delivery bots are hauling groceries around Texas and Arizona. May Mobility is running robo-shuttles in Detroit. So for the public sharing the roads with these things, a few long lurking questions are now more pressing than ever: How do we know these things are safe? The companies say they are, but how can they prove it to us? One thing is for sure: The way we certify human drivers ain’t going to cut it. Just because software can pull off a three-point turn once doesn’t mean it will be able to do it every time, in variable conditions. Or that the people who built it even know why it worked. Algorithms are black boxes; developers can see whether a computer is doing something right, but they can’t necessarily tell if the computer understands why it’s right. If something goes wrong with self-driving software, though, researchers are going to need to understand how it works—so they can fix it. A different sort of test, then, is in order. One made not for people, but for machines. That’s why some people in the self-driving space are talking about setting a new kind of standard. For decades, engineers who build anything, including software, have used standards to verify the quality of their work. Whether those standards are voluntary or government mandated, they’re less rules for what to do than processes for making sure that what you do works. Underwriters Laboratory, based in Illinois, writes standards and certifies that companies are following them for just about any product you can think of: outdoor furniture, horticultural lighting and grow systems, armored cables, robotic equipment, factory-built fireplaces, tin-clad fire doors. Check your favorite American electronic product or appliance and chances are you’ll find a safety certification stamp from Underwriters or a similar organization. (If you don’t, maybe rethink your choice.) Another group called the International Organization of Standards came out with a new standard called ISO 26262 eight years ago, which outlines safety in electrical or electronic car systems. But no one has made this kind of standard, this variety of test, for a self-driving car. Underwriters Laboratories and a safety software company called Edge Case Research would like to change that, and quickly. They have a plan to bring together all sorts of players in this budding industry to do what others have done for automotive software and those tin-clad fire doors. The groups plan to write a new safety standard for autonomous products called—and this just rolls off the tongue—UL 4600. Right now, UL 4600 is a draft, written by collaborators with backgrounds in standards writing and aviation and automotive software tech. To make the final version, they need to bring together a “supergroup” panel of advisers. They’d like to do that this spring. “I have a balance of interests that I look for,” says Deborah Prince, the standards process manager for Underwriters Laboratories. She has put together many advisory panels for the standards that the company oversees. “I’m looking for my producers, I might have software people in there, insurance people, regulators. I want the right cross section.” For a self-driving software standard, that cross section might be made up of big developers like Waymo and Uber, small self-driving startups, independent researchers, car companies, and maybe even a few staffers from the Department of Transportation. Together, the groups want that advisory panel to come up with a standard that would force those building self-driving technology to explain how their cars can get through bloopers and accidents, even without a driver at the wheel. Tire blows out? No one’s going to grab the steering wheel. Vehicle catches on fire and the passenger is asleep in the back? No one’s there to wake them up and get them out. Developers would have to lay out precisely how their software works around those autonomy-specific problems. The standard has a ways to go, but its makers want the process to move quickly. If the group comes together this spring, it might update the draft standard by midyear and solicit public feedback. It could even publish a standard by the end of the 2019—warp speed for a process that usually takes years. Then, though, would come the biggest challenge: getting companies to use the thing. Because a standard without adherents is like a church without congregants—kind of depressing and not very useful. One hurdle facing the group is that Underwriters isn’t yet strongly established in the automotive space. Also, many aren’t convinced it’s not better to just rejigger ISO’s 26262 standard for autonomous driving. But the upside for this standard—or any safety standard, really—is that following it could mean a safer self-driving car. One that’s far better than a teen who just passed his first driving test—and can prove it. Kitty Hawk, Flying Cars, and the Challenges of 2019-04-22 06:00:00At a startup run by autonomous vehicle mastermind Sebastian Thrun, the dream of flying cars is starting to become reality. But expect flight delays. Waze Wants to Help All of Us Win 2019-04-22 06:00:00The world's premier traffic-busting app has a plan for when traffic never ever gets better: get us all to share commutes, and become ... friends? EV Upstart Rivian Is Helping to Drive a 2019-04-22 06:00:00A explosion of new technologies has companies flooding the auto industry en masse—again. Are We There Yet? A Reality Check on 2019-04-22 06:00:00Fully autonomous cars may never arrive. But we'll all benefit from self-driving tech while we wait. British Beach-Goers Could Get a Bigger Road Through 2019-04-20 07:00:00Well, a tunnel that passes underneath it, to be more specific. But conservationists have reservations. Uber Recruits Some Rich Friends to Drive Its 2019-04-19 15:27:47Toyota, Japanese auto supplier Denso, and the Softbank Vision Fund are investing $1 billion in Uber's self-driving car unit. Climate Change Threatens Ice Roads. Satellites Could Help 2019-04-18 06:00:00Diamond mines in Canada have a short window in which to truck in their equipment—satellite sensors could help ice roads keep on truckin’. just-auto takes an Easter break 2019-04-18 08:12:00Easter is coming this weekend, which means Friday (19 April) and Monday (22 April) are public holidays for us, here in the UK. 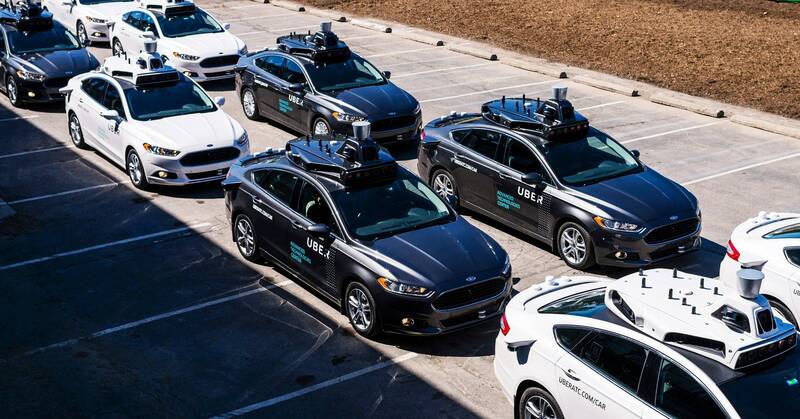 Uber attracting investors to self-driving unit - report 2019-04-18 07:21:00Ride-hail giant Uber Technologies is reported to be nearing a deal with a group of investors prepared to invest in its self-driving car unit. SKF opens new tapered roller bearing factory in 2019-04-18 07:20:00SKF has inaugurated its tapered roller bearing factory in Changshan, China. SEAT spent EUR7.137bn on purchases in 2018 2019-04-18 07:19:00In a record year for Volkswagen Group Spanish unit SEAT, the purchasing operation spent EUR7.137bn (US$8.061bn) in 2018, up 5.6% year on year. Hella expands partner network for lighting and electronics 2019-04-18 06:53:00Hella has signed further cooperation agreements at Auto Shanghai, China's most important motor show. 2019 New York auto show hits & misses 2019-04-22 00:00:01Two industry-watchers from Automotive News walked the floor at the New York auto show and issued their views and verdicts. Dealers turn to Craigslist to meet used-car demand 2019-04-22 00:00:01Used inventory is tight, so dealers are increasingly looking beyond trade-ins and wholesale auctions for cars and trucks. Buick dealers will get an extra helping of 2019-04-22 00:00:01U.S. dealers will get a chance to sell the Encore GX small crossover shown in Shanghai last week. Lincoln reimagined as a 'luxury boutique' 2019-04-22 00:00:01Lincoln has spent the better part of this decade transforming its lineup and rebooting its brand identity. Its next challenge: Not messing it up. U.S. ultimatum to Chrysler was not coercion, Rattner 2019-04-22 00:00:01The former head of the White House's auto rescue task force says the government was Chrysler's savior, not its boss. Ford reboots in China, with deeper local intel 2019-04-21 00:00:01Desperate to reverse last year's 37 percent tumble in China sales, Ford is belatedly following rivals in doing things differently. Audi joins forces with Marvel Studios' 'Avengers: Endgame' 2019-04-19 12:50:31Audi's hopes the Marvel collaboration will boost audience engagement and socialize the Audi e-tron crossover.